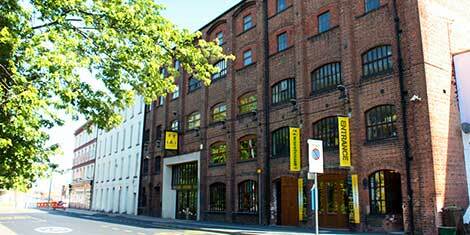 The site is located in the historical Gloucester city centre, close to the main shops and restaurants and a 25 minute walk to the Oxstalls campus. Regular buses will be available from the city centre to the campus. 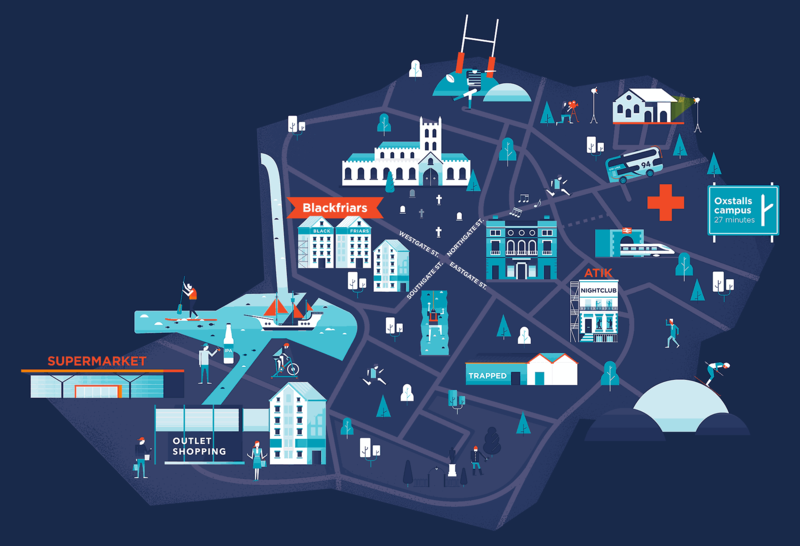 Gloucester has all the attractions of a city without losing the familiar feeling of a town; from cool waterfront bars and cafes, to one of the best live-event venues in the country. The city has received worldwide attention, featuring as a backdrop to shows and films including Hot Fuzz, Sherlock, Alice through the Looking Glass, Doctor Who and the Harry Potter series, as well as attracting sports fans for the 2015 Rugby World Cup, hosted at our Premiere League stadium, Kingsholm. Whether it's adventure in the great outdoors or glamorous boutique shopping, this is the city that has it all. 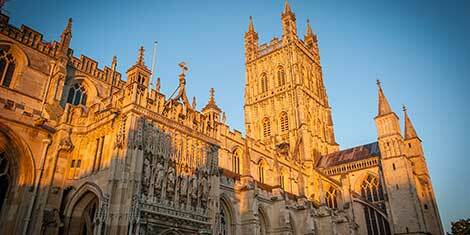 Dominating the city skyline, Gloucester Cathedral is always worth a visit. You can enjoy the quiet of the cloisters, visit the many exhibitions or, if you prefer your evenings with a magical flavour, go on a Harry Potter tour around the iconic building, which featured as Hogwarts in the film series. 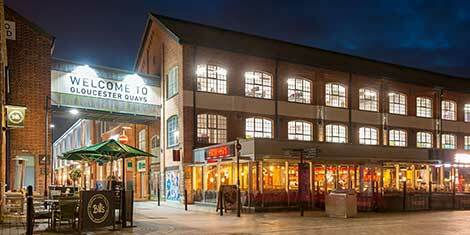 With it's diverse mix of shops and eateries, the Quays promises something for everybody. Whether food festivals, outlet shopping, microbreweries or a trip to the cinema is your thing, the renovated historic dockside is one of Gloucester’s most popular venues. It’s all down to brain over brawn in Gloucester's answer to the Escape Room craze. Based on the Japanese online game 'Takagism', Escape Rooms is a real-life interactive game which requires friends to work together to solve hidden puzzles all the while fighting the clock. 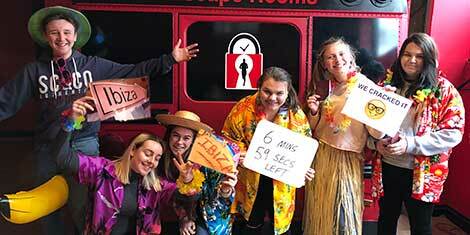 Or dare your friends to work together to escape from Gloucester prison in sixty minutes. 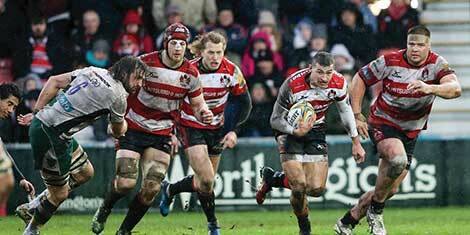 Don't miss the Cherry and Whites in Premiership rugby action at the historic Kingsholm, just a short walk from Oxstalls Campus and the City Centre. Also look out for the live concerts at the stadium throughout the year such as Little Mix, Elton John and Jess Glynne. A genuine hidden gem, the Sherbourne Cinema, near Blackfriars, lets you enjoy the latest films in historic art-deco surroundings. 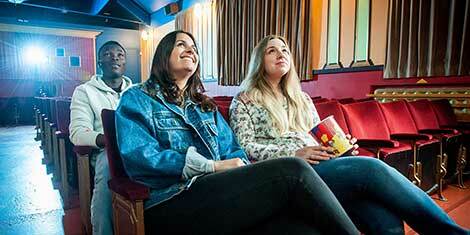 The Sherbourne offers an intimate way to experience movies, harking back to the golden age of cinema at student-friendly prices. 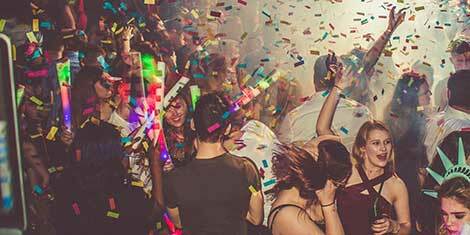 ATIK is the largest nightclub in Gloucester, with some of the biggest DJ’s and acts on the scene. All good nights out end at this venue which you'll find at the heart of the city's clubbing district - The Glos Vegas Strip. 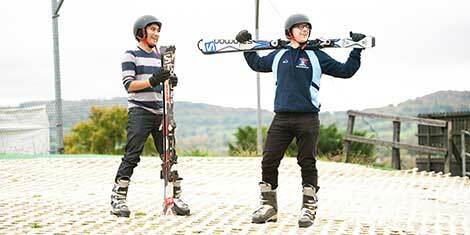 Gloucester has a huge outdoor ski and snowboard centre - formerly the longest dry ski slope in the country - Olympic skier Eddy 'the Eagle' Edwards used to train there. Whether novice or pro, this venue offers year round snowsports, come rain or shine, complete with an authentic aprés-ski lodge. 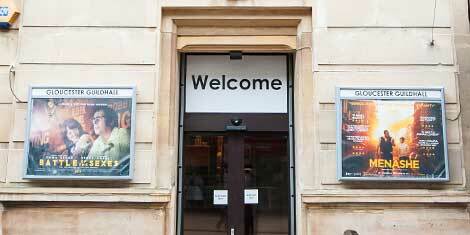 This is a thriving hub of entertainment offering live music, comedy, theatre, film, exhibitions and talks. Nominated as the UK’s best small live music venue, the Guildhall offers a vibrant atmosphere that's perfect for a night out. 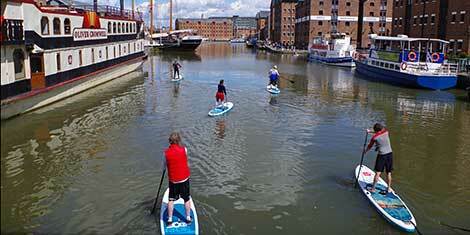 Try your hand at something new by learning to paddleboard alongside the historic Tall Ships at Gloucester docks. The classes are perfect for beginners and act as a great workout developing your core strength. So if you don't fancy heading to the gym why not try the fastest growing watersport in the world? Scale the heights and plumb the depths in this transformed Victorian warehouse with Gloucester's own impressive indoor climbing and caving center. Whether a novice or a veteran, you're bound to find adventure in the Warehouse!